Luminate Festival 2017 turned out to be just what I needed! AFTER being overseas for a good few months, I was ready to get back down to earth and have the dreaded reality check all travellers get after being ‘on holiday’ for so long! I arrived back in Auckland City, and got straight back into working, writing, writing and more writing! The busyness of everyday life — I mean hell my life is busy as is! After all my dramas with food poisoning, the underlying tensions in America and the other countries I had been in after Trump was elected, I felt I needed a little space, a little air, a little down time too. 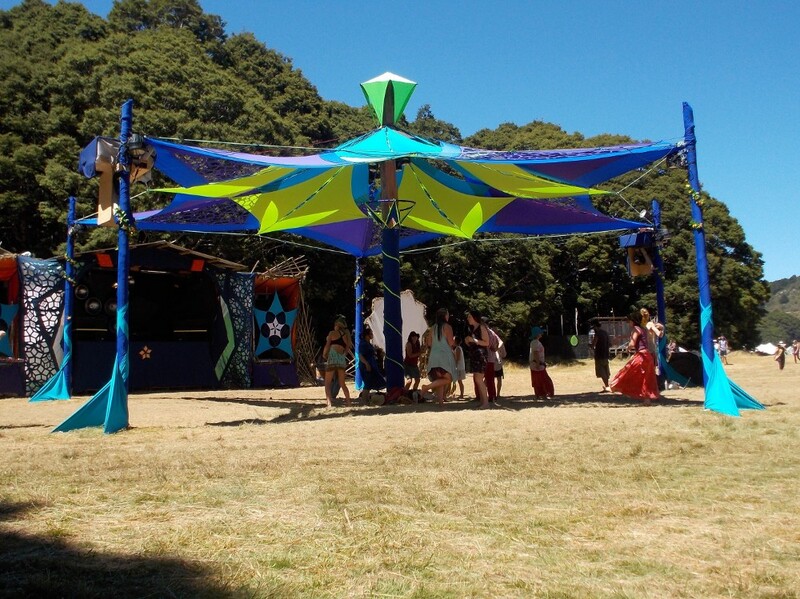 Then something wonderful popped up one day: the Luminate Festival near Nelson, New Zealand. I hadn’t been before, but I jumped on good old Google and was sold. It was exactly the kind of thing I needed to get back into the swing of things, rekindle my love of New Zealand and relax with like-minded people. 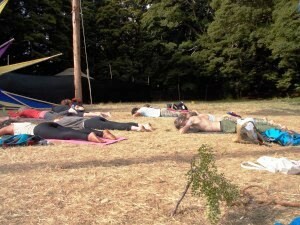 Luminate Festival is a family and community-grounded event, with live music, yoga and environmentalism. It’s a gathering of down-to earth spiritual people from all over the world. Before I got on the plane and headed there I was totally unaware it had such a large overseas following. 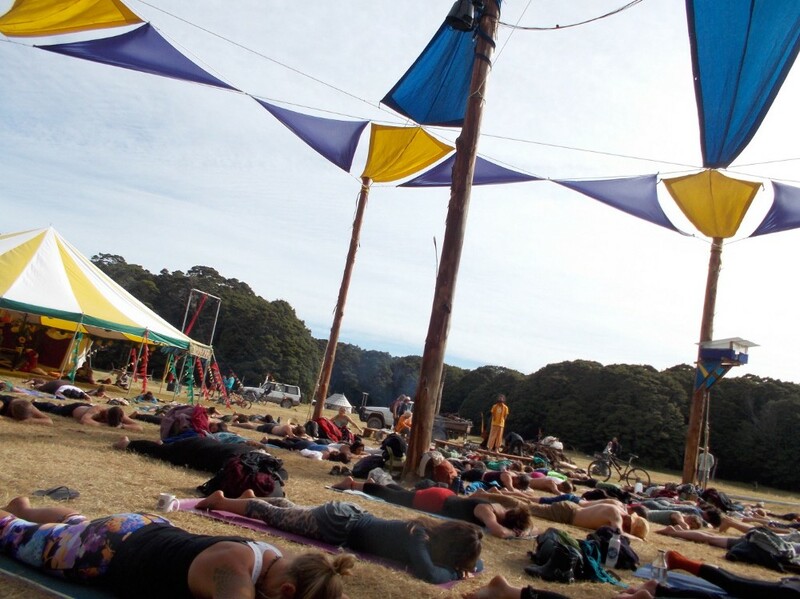 While some might immediately jump to the idea of a typical hippy, tree-hugging woman and men in long shirts and skirts kind of festival, it was a lot more than that. So I found myself on a plane from Auckland to Nelson, perched at the north end of New Zealand’s South Island. The flight was great. 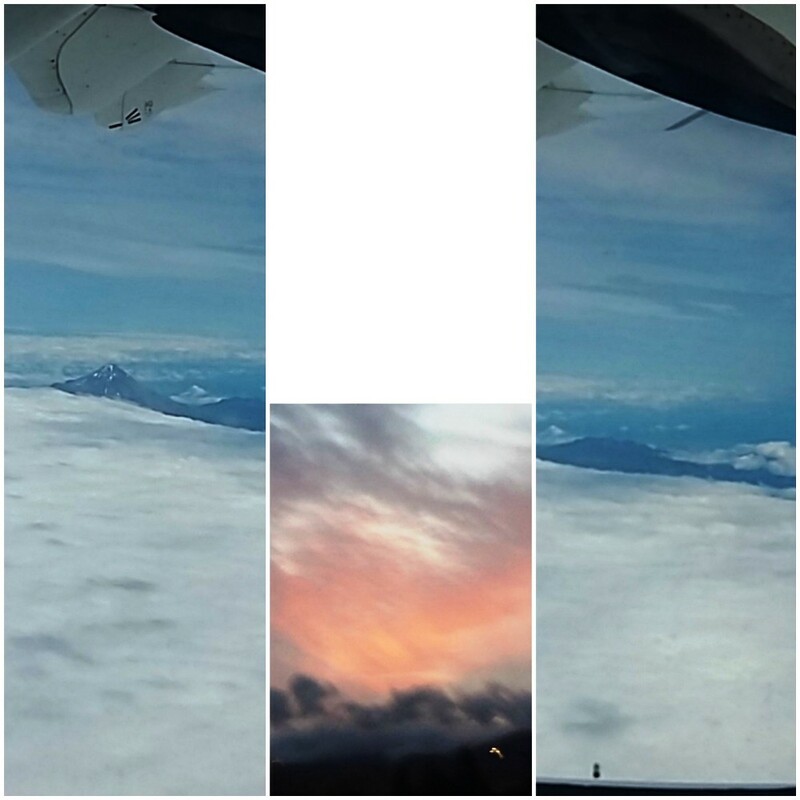 I got beautiful views out over Taranaki and Ruapehu, mountains in the North Island. When I got to Nelson, I would have to drive further up for about two hours to a spiritual mountain area called Canaan Downs, at Pikikirunga, near the nationally famous Golden Bay. The area itself is known from its dramatic scenery, beautiful beaches and pristine forests and is used for an abundance of outdoor activities. 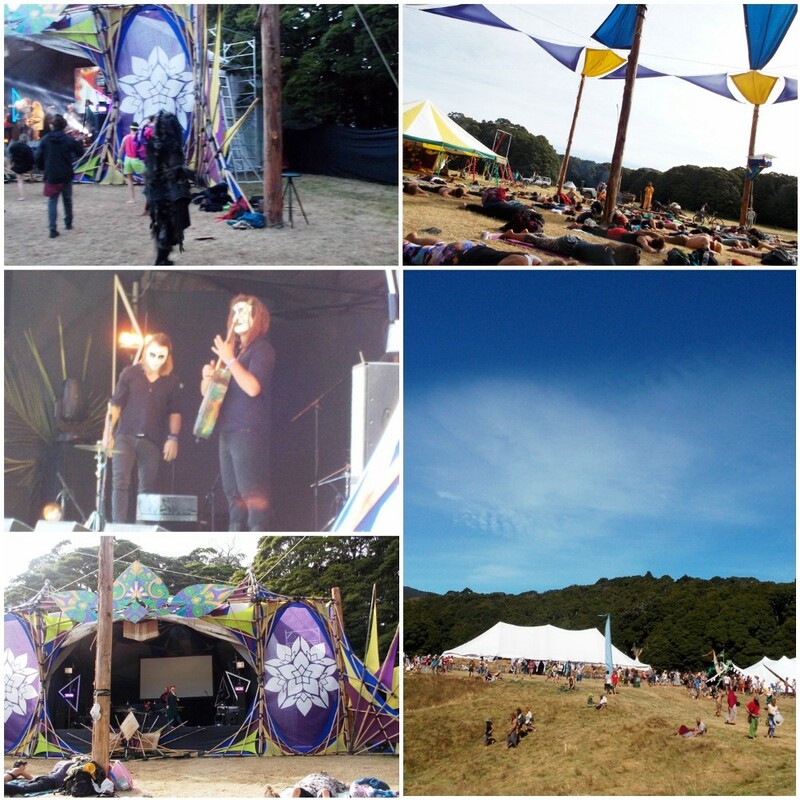 There were workshops on waste minimisation, presentations and group discussions on environmental issues, live music and a chill-out lounge. There was even a circus where they had fire performances and dancing — I loved seeing that! There was a healing hub or hauora. There was an electronic zone dedicated to that particular genre of music, and live music played in the chill lounge and on the live stage. When I heard a good band play I would listen to them in both areas because you get a different perspective on their music. They would perform different songs in each area, to flow with the vibe. As always I got absorbed into the festival, the people, the music, the environment — we were all one and the same, enjoying everything together. I realised this was exactly what I needed, a bit of time out from everything — including work. I met many interesting people from all over, which was great too! I noticed lot of Celtic themes in the festival, so that got me interested in its history. I found out the Luminate Festival is also held in Scotland during October between summer solstice and autumn equinox. It is based on the First Harvest Festival that was held in Ireland (Lamma) and Scotland (Lughnasadh), with links to the ancient Druid festival called Samhain. It was interesting because the festivals back then were held in mountains or atop hills, much like the one in New Zealand. Canaan Downs is part of the Abel Tasman National Park, an area run by the Department of Conservation, so it’s no glam campground! Just the basics, which was great! At what felt like on the other side of the world — which turned out to be just down the road — there was a beaching of 650 pilot whales at Farewell Spit. This was an hour’s drive north-east from the Festival. There is the idea that techniques used to find oil such as seismic surveying can affect the whale’s navigation. National Geographic published this finding in 2014, and although some experts have said it is unlikely — it makes me wonder — it is a HUGE number of whales. For, there had been some oil-related exploration going on around New Zealand’s coast six days before the first pod beached themselves. This was the third biggest stranding in recorded New Zealand history. The record was a thousand in 1918 in the Chatham Islands, some hundreds of kilometres east of the main islands of New Zealand; though there wasn’t any seismic surveying going on there at the time as far as I know. No one really found out about any of it until after the festival, when we all got back on to our phones and connected back up to the internet. It was a bit of a pity, as I was in the area and had a car — I would have gone to help in some way or another. On another environmental note here, I found out that dairying is moving into the nearby Takaka area. I have some serious issues with this — pollution is the main one. 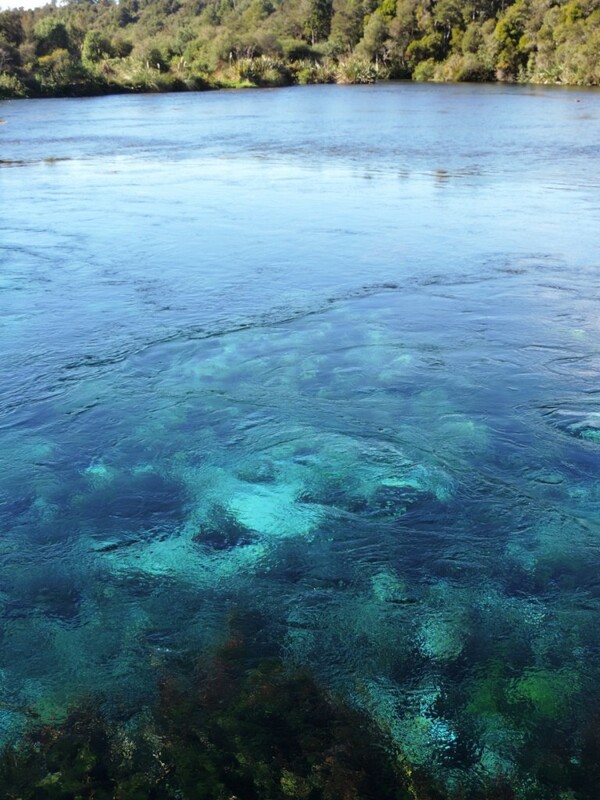 Earlier this year there were concerns over the polluting of the Te Waikoropupū Springs, New Zealand’s largest fresh water springs in Golden Bay not far from where the festival was being held. The Te Waikoropupū Springs hold significant cultural and spiritual significance to the locals and are unique in that they hold Stygofauna that live in the Arthur Marble Aquifer. The environmental concern for the springs is completely substantiated and I just hope they get some kind of plan together to prevent the polluting of the springs from dairy farming.